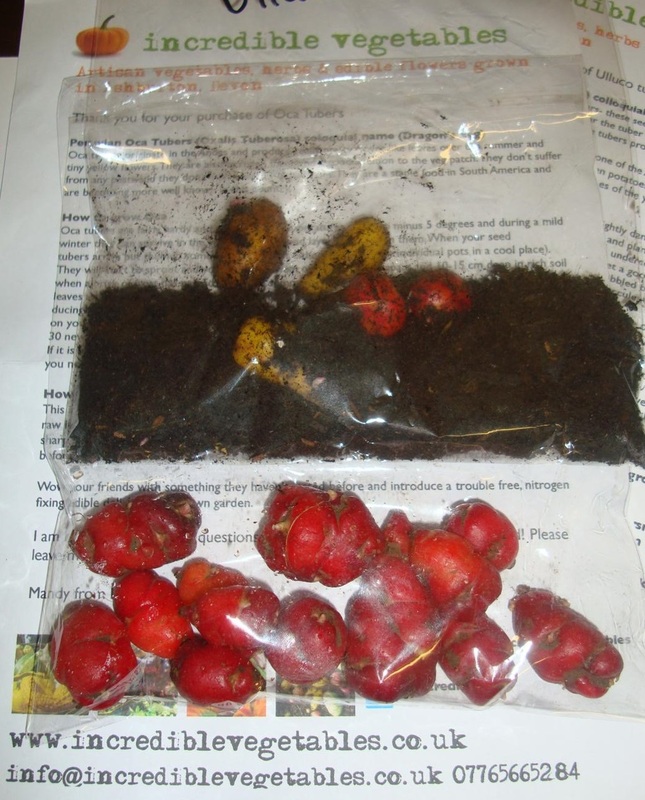 Last Summer I added Oca and Ulloco Tuberous crops to my vegetable grow list in my garden, having harvested them recently, I can only advise that personally they are not worth the effort due to the small yield. This opinion is mainly helpful to those in countries with a similar climate to the UK, these plants are really from the Andean areas in South America where they are guaranteed to have more abundant sunshine. Various Perennial Tubers: Oca, Ulloco, Sunchoke (Jerusalem Artichoke) & Crosney (Chinese Artichoke). Whilst I did get a few tubers per plant that were of a decent size, the rest were usually really tiny and even too small to be able to clean properly for culinary use. I will be keeping a small amount of stock growing in one pot just for the sake of having some aside and re-seeding every year, this will prevent the need to buy more in the event of trying again. On another note, the same goes for Chinese Artichokes AKA Crosneys, although the yield was quite big, the actual tubers were tiny and most broke whilst harvesting! Oca have a far more worthwhile yield compared with these so for any new gardeners interested to try unusual tubers out, the Oca are probably best after Jerusalem Artichokes (Sunchokes). Simply put, if I had a larger piece of land (I have a very small typical UK garden), and some more time on my hands, I would probably have a dedicated area to grow these crops and experiment with soil types (my soil is quite heavy). So, I am not entirely giving up, just putting these tubers on a backburner list whilst I find other crops to dedicate my limited space to. To order any Unusual tuber vegetables in the UK / Europe, take a look at Incredible Vegetables, they supply full info on planting etc. After a successive year growing other tubers (Other than potatoes) and enjoying leaving the crop underground until I wanted to make use of them (Great storage advantage), I decided to order more varieties and happily stumbled on a site specialising in exactly that! well they sell other things, not only tubers. After a few videos online and reading a blog post here and there, I placed my order at Incredible Vegetables (I originally intended to order one of their Tuber Seed Kits) but realised that I already have Jerusalem Artichokes and Chinese Artichokes so had to order only the Oca and Ulluco (South American Tuber Vegetables) separately. 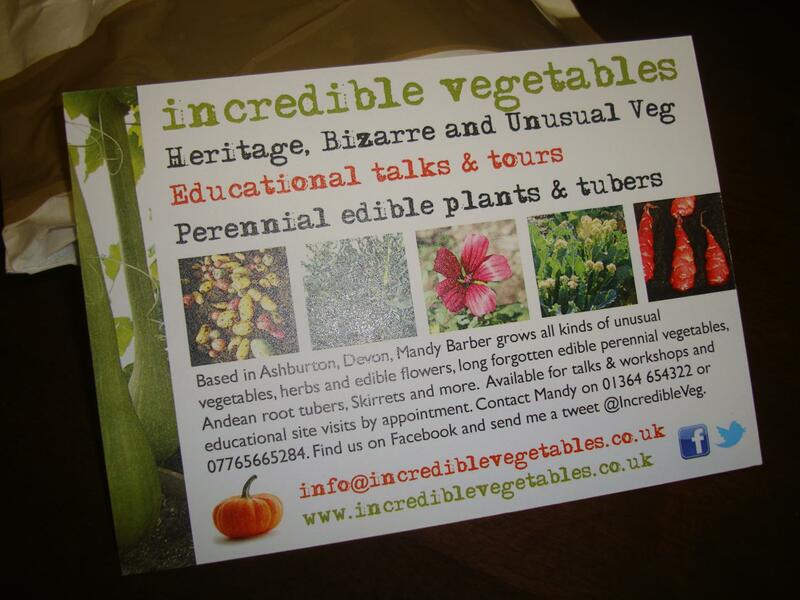 Check them out if you are interested in Unusual / Rare varieties of vegetables, they also have Pinterest, Twitter and Facebook pages for those who prefer connecting via social media. 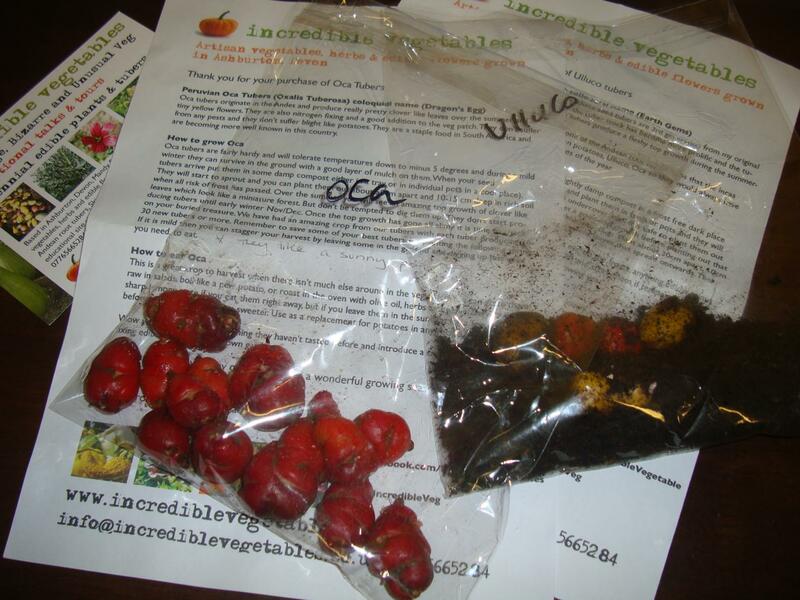 They supply Plant information on the Oca and Ulluco regarding growing, history and even how to cook & eat! Keep an eye out throughout the year! I will be posting various updates as the season goes on, not only on these plants but also the Jerusalem & Chinese Artichokes, I will definitely do some stacking between them so looking forward to the experimenting as well!